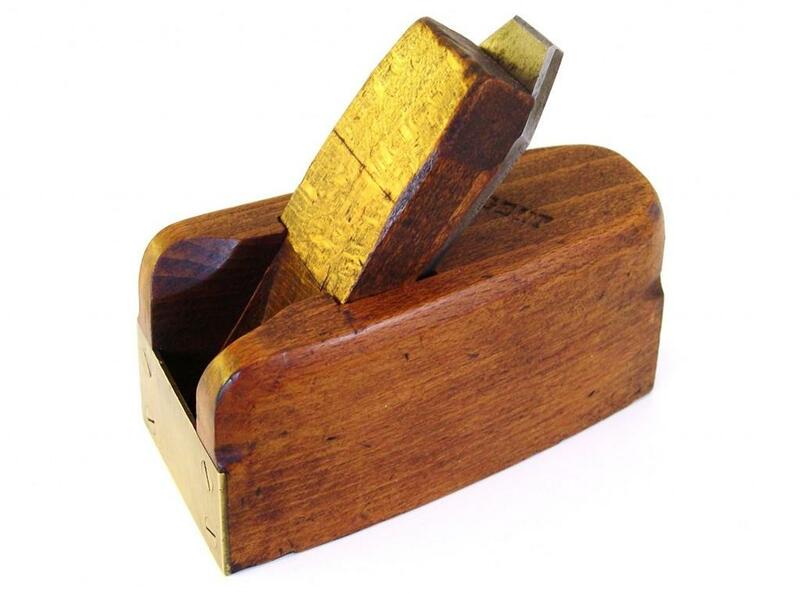 We see plenty of wooden bullnose planes, most of which started life as small smoothers. Either through need or as a result of damage, these have been converted to bullnose form by their owners. 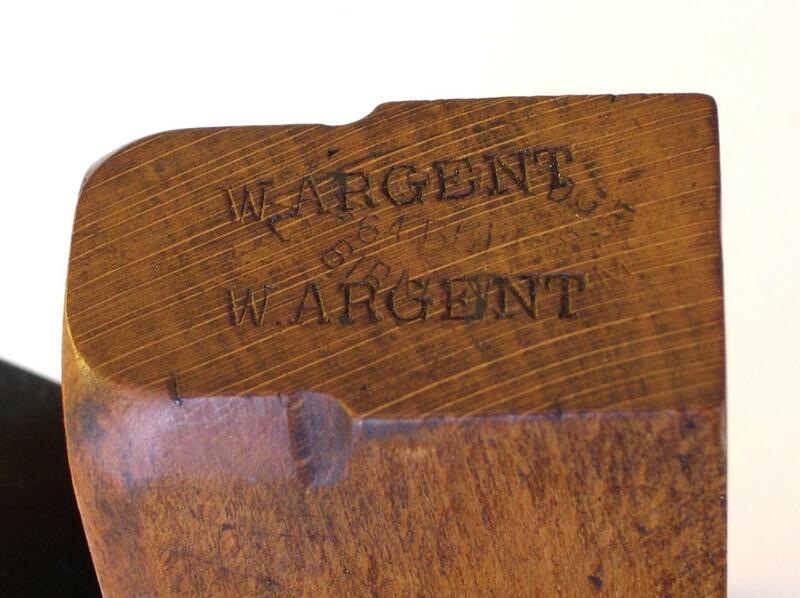 This one, however, is a rarer factory produced example sold by tool dealer Richard Routledge of Birmingham. According to Goodman’s British Planemakers from 1700 Routledge claimed to be manufacturers but were actually purely vendors. 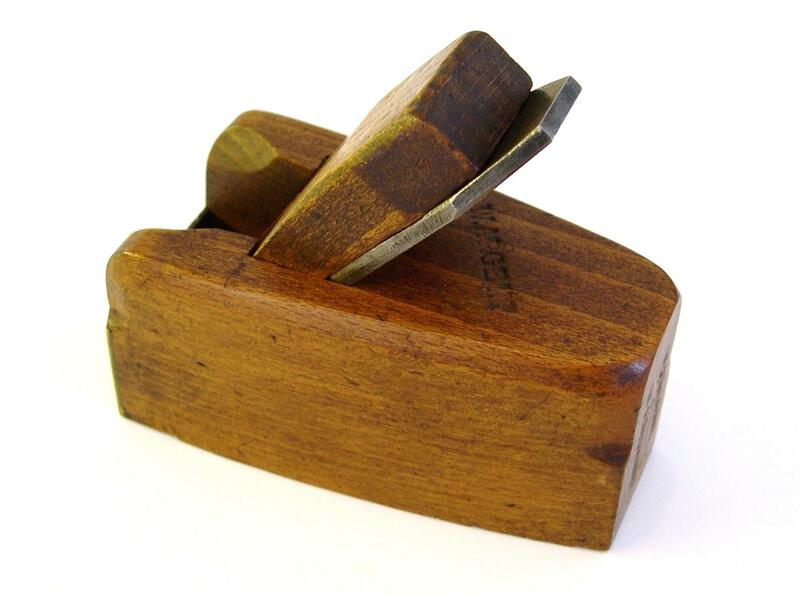 Our 3½ inch beech bullnose plane has a full Routledge stamp ‘R.ROUTLEDGE 64 BULL ST BIRMINGHAM’ on the heel as there is no suitable space on the toe. 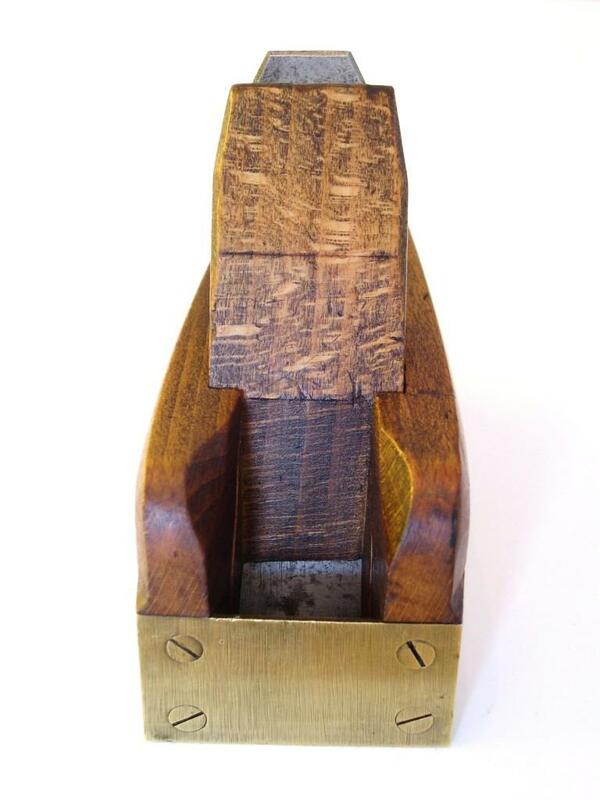 A close look at the throat confirms this plane was always a bullnose, the inside gouge cuts are complete compared to the altered smoothers where they are typically cut short at the point where the front of the plane has been removed. 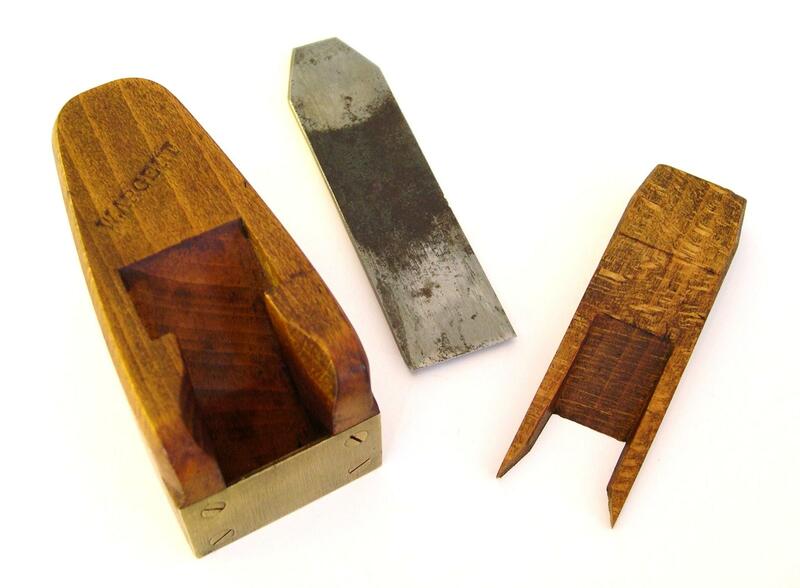 In addition four screws hold the rebated brass plate in position compared to the two usually found on the user made planes. Fitted with a 1 inch blade iron this little gem is a cut above. We’ll be standing at the forthcoming David Stanley International Auction – 28th (viewing) and 29th March 2014 – and look forward to seeing some of you there.